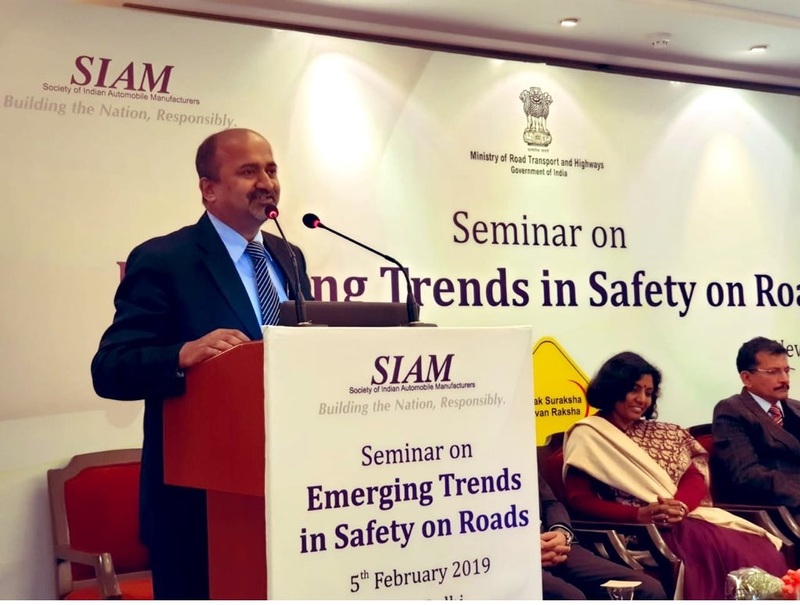 New Delhi, 11th February 2019: Over the past week, people all over India saw and enriched themselves in their knowledge and awareness about road safety. From rallies to workshops, awareness campaigns and seminars to health check-ups, training sessions to fun activities– the itinerary of this Road Safety Week organized by the Society of Indian Automobile Manufacturers (SIAM) in association with the Ministry of Road Transport and Highways, Government of India (MoRTH) and Delhi Traffic Police involved vehicle drivers, students as well as people from all age groups and callings. 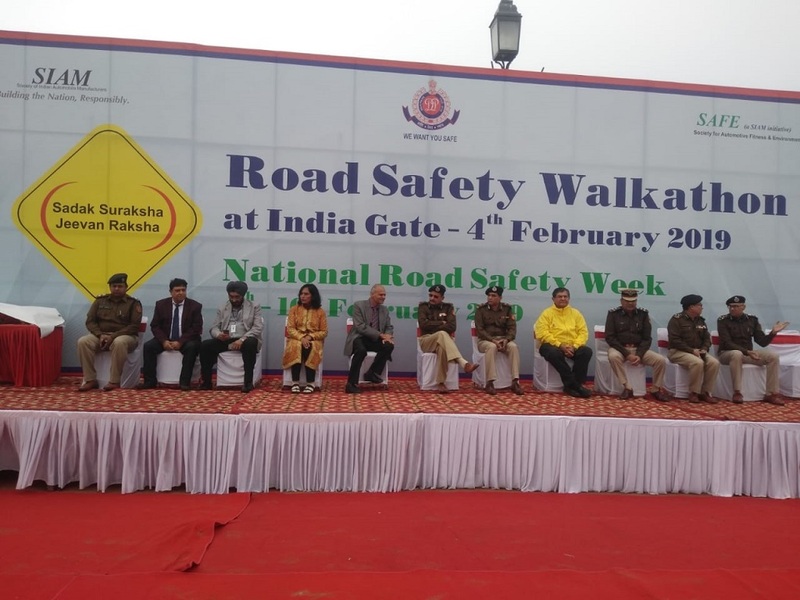 Based on the theme of ‘Sadak Suraksha, Jeevan Raksha’ by MoRTH, SIAM organized this event as a part of their ongoing National Road Safety Year 2019 initiative. With an intent to bring down the road accident fatality figure from 1.5 lakh people per year, the week-long event started with human and motor rallies, aimed at spreading awareness around road safety across the country. Commemorating Mahatma Gandhi’s 150th birth anniversary, his principles of peace, patience and tolerance were weaved in well, into the event. This ensured that everybody becomes well versed in safer mobility lessons. 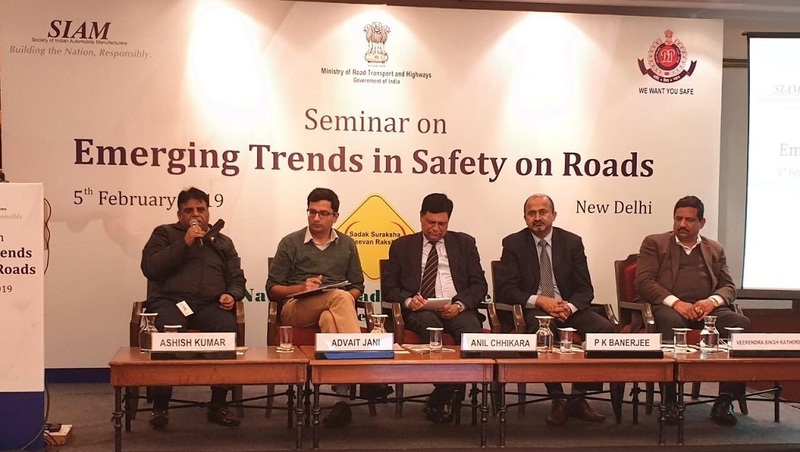 A seminar was organized on emerging trends of Road Safety at India Habitat Centre, which discussed the current scenario and the expectations from future road safety technologies. NGO ‘Drive Smart Drive safe’ along with the Ministry of Road Transport & Highways and SIAM rolled out the campaign #1CroreHaathSaathSaath. 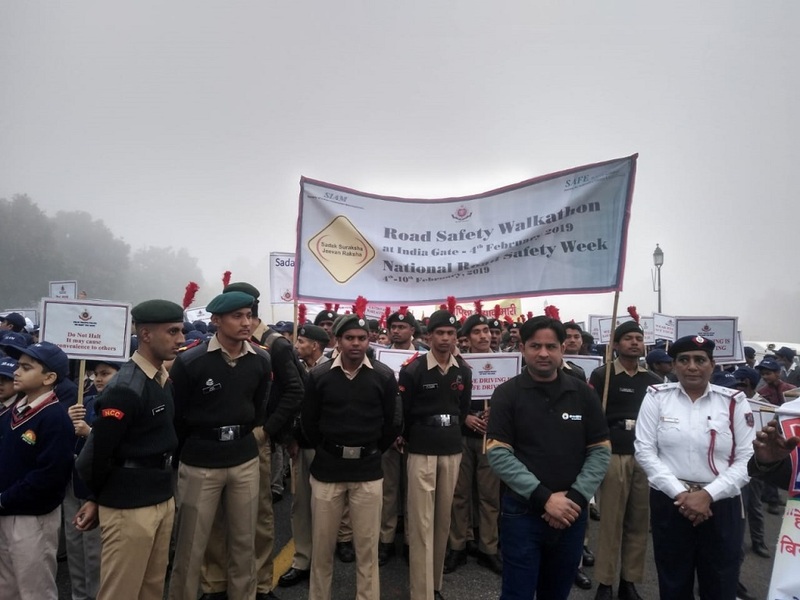 The campaign engaged over 50 Lakh people and formed a human chain by joining 1 Crore Hands over a stretch of 65 KM starting from India Gate, took ahead the overall mission and objective of the awareness campaign, thereby commencing the Road Safety Week 2019, in over a hundred cities. Wrapping up for the week, Mr. Prashant K Banerjee, Executive Director (Technical), SIAM said, “We had initiated and executed various campaigns with the support of our members, their dealers network and with all other stakeholders. We at SIAM are delighted with the level of participation that we had witnessed across the country, for this noble cause. We aim to spread Road Safety Awareness to each and every individual so that we can contain the burgeoning road fatality rates in India”. 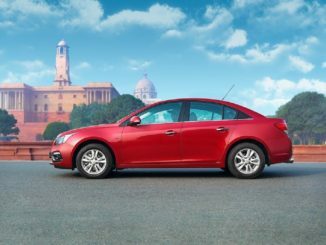 The Society of Indian Automobile Manufacturers (SIAM) is a non-profit apex national body representing all major vehicle and vehicular engine manufacturers in India. SIAM works towards supporting sustainable development of the Indian Automobile Industry with the vision that India emerges as the destination of choice in the world for design and manufacture of automobiles. It also works towards facilitating enhancement of the competitiveness of the Indian Automobile Industry, reducing cost of vehicles, increasing productivity and achieving global standards of quality.